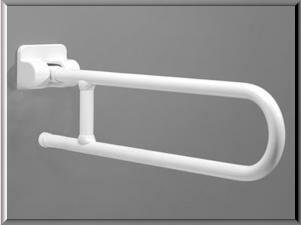 At CARE, we offer a wide variety of grab bar solutions that are both functional, as well as decorative to match your bathroom’s decor. 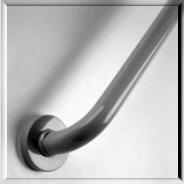 Gone are the days where having a grab bar in your home meant you had to have an industrial looking piece of stainless steel mounted to your wall. 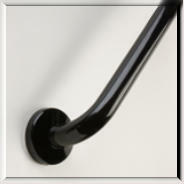 Grab bars now come in a multitude of sizes, shapes and colors, as well as decorative to blend in nicely with your home’s decor. 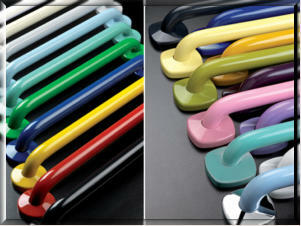 And their functionality has improved greatly as well. 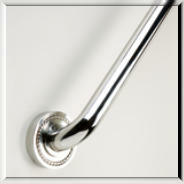 There are bars that can fold out of the way when not needed and many have warm to the touch, antimicrobial coatings. 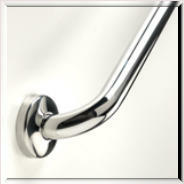 Pictured below are just a mere sampling of grab bars available through the innovative, industry leading company Ponte Giulio. 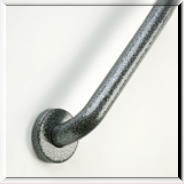 Most grab bars are available in lengths from 12” long to 48” long. 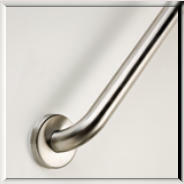 And besides the standard straight bars, many custom bends are available for use in corners or varying degrees of angles for better placement. 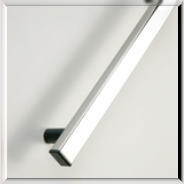 Please view the PDF catalog at the bottom of this page for more information and availability from Ponte Giulio. 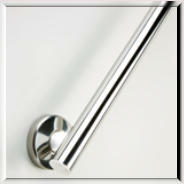 We are able to acquire and install all items the catalog offers. 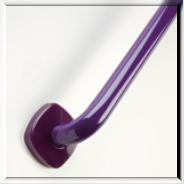 Affordable accessibility options, to help you remain in the home you love.